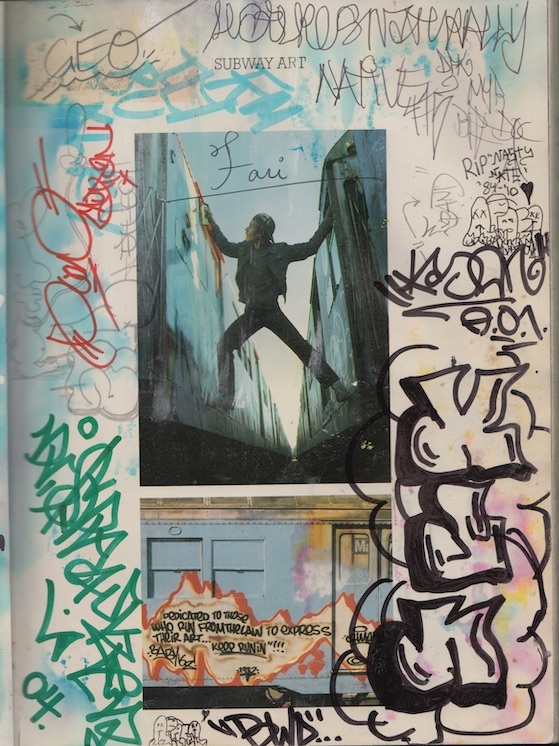 What I’ve included for you all to check out is a PDF of some of the pages within: photos, articles and my personal favorite: the ads. I used to do a year-end round-up that was strictly music focused but as 2018 made exceedingly clear, where my attention turns is more than just music so, for this year, I decided to just talk about all my favorite things from the year, including but hardly limited to . The one thing that jumps out to me, instantly, is how little hip-hop I had in the heaviest of rotations. If I were to expand things to “songs I like,” there’d be much more, including, for example, Lil Wayne’s “Dope N____z” or maybe Swizz Beatz and Nas’s “Echo” but for songs that were my favorite, then yeah, for whatever reason, new hip-hop just wasn’t pinging my radar as much. On the other hand, for someone who’s spent years primarily listening to old soul, 2018 was a banner year for new R&B. Oh god, is this a sign of middle age? Oh well, I’m ok with that. Morgan and I had Macy on our Heat Rocks podcast earlier this fall and that gave me a reason to listen to her latest LP, Ruby, which begins with “Buddha.” I don’t know to what extent Macy was channeling anxieties about current events, but when she sings “Hurry, hurry up, my days are numbered”, I feel that. I’m assuming the title of the song, “Buddha” is meant to evoke a sense of how we make peace with things as they are and at a time where everything else can feel out of control, it’s a useful reminder to just ground yourself. As her and her backup singers make clear: “I’m alright now.” And some days, that’s enough. I too like the minor notes you find in major songs. I’m just here for songs about Trader Joe’s (my local one is the second one the chain ever opened). My 13yo likes this song too but I haven’t dared asked if she understands what the line “I’ll swallow kids” means. The Six God may have taken an L over his secret son but otherwise, Drake had, you know, a pretty good year. “In My Feelings” will likely enjoy a longer lifespan but “Nice For What” is a bounce track based around a Lauryn Hill ballad sample. Put a W on that. File this under “endless summer” jams (see below) but the moment I heard it, as the lead track from Hive Mind, I already assumed it’d end up being my favorite cut off the album and maybe that was a self-fulfilling prophecy but yeah, it was. The guitars! The bass! Syd’s voice! The coy and seductive theme! I’m here for all of it. 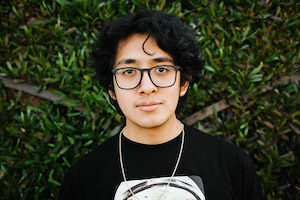 Even if it’s the dead of winter, Cuco can still make it sound like it’s hotter than July. What I love about this young Chicano singer/songwriter out of Hawthorne – original home of the Beach Boys lest we forget – is that he too makes music for endless summers: dreamy, drifting and ever so slightly melancholy. I first got turned onto his “North Cack” jam from last year and that made me hyped to peep his latest Money Is Time album. There’s actually any number of jams from that LP I could have put here but something about the koto strings and mid-tempo bop of “Rap Money” really does it for me. 20 years ago and I’d be saying “G Yamazawa is the best Asian American rapper out there!” but in 2018 I think we can just say he’s great without needing an ethnic qualifier. I could be off here but in general, I feel like the overall quality of music supervision, especially in TV, is so much better now than, say, 15 years ago. Kier Lehman, who’s been the music supe on Insecure since the first season, has done a great job with the selections and this Marcos G single, which first appeared this past season, is one of those “so short I keep wanting more” tunes that I have to keep on repeat. I’ll step away from my general avoidance of all things ‘Ye to at least allow for this gem, where he sampled an unreleased Bodie 45 of “I Do Love You,” released a few years back by Numero Group (and, from my understanding, not licensed, doh!) to create this track for Teyana. Chop Up The Soul Kanye still got it. If I have this right, I believe this was originally recorded for Golden State Recorders in the 1960s but was never released. Ace put it on their Golden State Soul comp from a few years back but I didn’t hear it until Colemine released it on 45 this past year. I didn’t even realize it was a Bay Area recording until after I had fallen in love with it so that’s backstory is just icing on the cake. 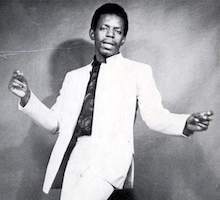 Alongside the aforementioned Colemine, as well as Daptone and Big Crown, Timmion has been part of a bigger wave of labels putting out excellent new soul tracks (that sound, you know, old) that have diversified the landscape beyond the handful of stars who had been dominating (especially Lee Fields plus the late Sharon Jones and Charles Bradley). Pratt and Moody first made an impression on me in 2017 with “Lost Lost Lost” and they’ve come back with another single-word-repeated-thrice-title for ’18. This is an immaculate track, from Cold Diamond and Mink’s deep soul production to the vocal interplay of Pratt and Moody. All those above labels put out great stuff this year but in terms of new compositions, “Words Words Words” rose to the top like Keni Burke. For covers though, I got a lot of love for Bobby Oroza taking on Sunny and the Sunliners’ classic firme rola, “Should I Take You Home.” This isn’t better than the original but it’s still damn good and I just like the fact that someone thought to cover it at all. These two are both relatively recent (I think Game Winner came out in 2016 and Mr. Finish Line was 2017) but I didn’t discover either until this past year until I heard “Game Winner” used in a scene from the film, Hearts Beat Loud. I immediately looked it up and became infatuated with it; I dare say, it’s my #1 favorite song I listened to in 2018, this despite the fact that the lyrics are kind of corny (I mean, I love basketball too but I’m not sure I need NBA metaphors as ballad source material) but the arrangement and performance of the song are unassailable. The Donny vibes are deep here as on Vulpeck’s “Baby I Don’t Know Oh Oh” which is the L.A.-based band that Dosik is a part of. That’s Charles Jones on the vocals for this one and he too does a masterful job, especially with all the scatting towards the end. This one also gets credited to Hua. I’ve never listened to a ton of Pharaoh Sanders (outside of Thembi because samples) and when Hua mentioned he was listening to the long version of “Love Is Everywhere” practically every day, I was intrigued and once I sat with it, I understood the appeal. For one, the opening is incredible; very proto-house in all the very best ways, especially the way the piano comes in. And just the overall spiritual feel of the tune is sublime, especially now, when many of us could use the boost. I’ve been scoring some of my choicest records directly from JazzRecordRoom from his Long Beach spot and this awesome cheapie came from a mid-autumn buy. It’s got a perfect crossover vibe that’s got just the right touch of funk to add into its overall soulfulness. I wrote about both of these earlier in the year but yeah, they’re both awesome. It’s surprising to realize that Maya Rudolph has never really played a leading character. She’s been an ace reliever out the bullpen on more shows than I can but it’s nice to see her as a starter and, for the most part, bring this short series home. I liked much of Forever, especially that marvelous standalone episode (“Andre and Sarah”) though I thought Catherine Keener was surprisingly underused and I’m still not sure what to make of the final two episodes. That said, I’d love for there to be a second season but if not, I’m quite satisfied with just the one. I never heard the podcast this was based off of but I guess we’re making t.v. shows from podcasts now. Ok, that’s cool. Mostly, what I liked about Homecoming, besides the great chemistry between Julia Roberts and Stephan James, is that the “half hour drama” isn’t a format you typically see but I’m am all for it. It helps get around one of the problems I have with streaming networks: the pressure that you have to all-or-nothing bingewatch an entire series rather than being able to digest it in smaller doses. In my household, Michael Schur sit-coms are the Golden Ratio for engaging me, my wife and my 13yo. We ride for his entire catalog, least of all a pair of multiracial ensemble masterpieces like these two shows. BORTLES and/or NINE NINE!!! I went into this only knowing 1) it has Sandra Oh and 2) it was very good but pretty much nothing else. I was expecting more of a formal procedural but as the show quickly asserts…it’s far funnier and more off-kilter than I ever had cause to expect. Loved this one and can’t wait for Season 2. I haven’t even finished this latest season yet but on GP, I expect it’s incredible, just because. You can write an entire book about the flaws in this series and its various plot holes but alas, at this point, much like Lost, I’m hooked and now I have to see it through. Besides, if I hadn’t watched Season 2, I would never have realized that my new Turntable Goals involve a Pro-Ject RPM. I used to resist ’80s nostalgia but f— it. Let’s just do this, big hair, acid washed jeans and all. It’ll be fascinating to see what happens as the primary adolescent cast ages into the awkward teen years and someone please get Charlie Heaton a decent haircut for Season 3 but otherwise, I’m way in. This was a show that my wife was interested in and so, for the first couple of episodes, I was only catching it peripherally but eventually, I found myself fully invested. I mean, this show made me find a Michael Rappaport character sympathetic. That should be worth an Emmy by itself. Lost Notes is produced out of KCRW and it’s ostensibly focused on obscure music topics but that’s broadly interpreted here. This episode is about the McDonald’s million dollar flexi-disc contest from the 1980s. It’s fascinating (if not also a little depressing). These are both produced by Phoebe Judge and I love them both, dearly. Criminal is “true crime” in a very loose sense of the term. This pair of episodes helped mark the show’s 100th ep milestone and I have to assume they purposefully waited to drop these gems for the occasion. I don’t even want to ruin the surprise awaiting but let’s just say that they focus on two of the most unbelievable criminals you’ve never heard of. Truth > fiction. With This Is Love, “love” is also interpreted generously, least of all in this episode, which focuses on the mating habits of gastropods, specifically, left turning snails. Trust me, it’s delightful. As a scholar/journalist, I love any opportunity to learn something more about a topic that I already had a passing interest in. I’m a very casual baseball fan and I knew nothing, prior, about the history of Japanese players in the MLB and this was an incredible crash course lesson. I joke that The Rewatchables is “Heat Rocks but for movies” but as their premier beat us out by a few weeks, I guess we’re more like The Relistenables. Either way, if you like one, you’re likely to enjoy the other. This one, which is about one of my favorite movies about journalism, is especially entertaining. Hosted by the dynamic duo of Chris Ryan and Andy Greenwald, The Watch is my go-to source for TV, film and general pop culture analysis. They’re both whip-smart and have an enviable ability to think on their feet and crack wise. 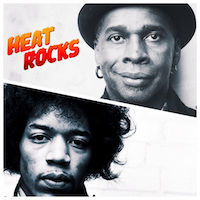 (Be sure to catch our Heat Rocks episode with Ryan about the Rolling Stones’ Exile on Main St. If you’re noticing a trend here, it’s that we seek out other podcast hosts whose work we admire). This is a minor cheat since, technically, the Articles of Interest series was part of 99% Invisible but whatever, I’m doubling up because I can. The “Oñate’s Foot” episode covered colonialism, Hispanics vs. Chicanx, indigenous histories and the role that public art can play in engaging all of the above. 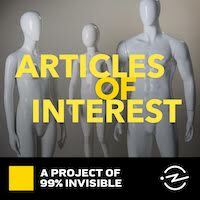 Articles of Interest, which was a six episode mini-series looking at the specific histories behind articles of clothing, was 99%I at its journalistic finding and this episode, about the history behind Aloha shirts was nothing short of revelatory. I hope they bring it back in 2019. It’s been around since the primordial days of podcasting and it is still one of the best around. If you know, you know. These are not meant to represent “the best episodes” we’ve put out (because they’re allllll the best!) but rather, the ones that, when I look back on the year, I have the most fondest feelings towards for various reasons. In memorializing the passing of The Queen there was so much intense joy in the room with the three of us talking about Aretha, especially every time we listened to her clips. 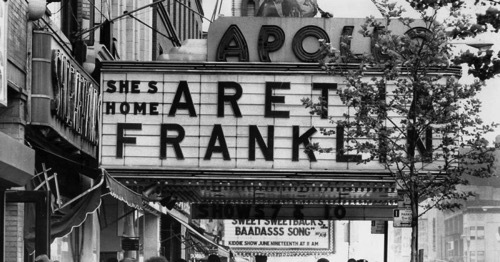 It’s just another reminder of what made Aretha so special. It’s always a great sign when Morgan, I and the guest continually laugh throughout a taping and with this episode, featuring Angry Asian Man himself, we all kept one another cracking up the whole way through. Shout out to all my dudes rocking the “eyes peering over thin sunglasses” look. Sometimes, you try to guide a conversation along the path. Other times, you just let the guest guide you. Not only was this like getting a complete master class in Hendrix Studies from one of the greatest rock guitarists alive but I also cut/edited this episode myself and at risk of patting myself on the back, I’m really proud of the job I did with it. That song stayed with me for a long time but it was hard to find much on Anckle or the Majestic and at the time, I didn’t pursue much more background research on it. Then, a year and a half ago, I was back in NOLA, giving a talk at Tulane and one of my hosts literally wrote the book on New Orleans brass bands: Matt Sakakeeny. On a whim, I played the track for him. He didn’t recognize the single but he instantly recognized the tuba riff. “That’s Tuba Fats!” He said. “Huh?” I replied. This post isn’t meant to duplicate what’s already in that article. Rather, it’s a companion post, with all the necessary songs you might want to hear, related to the essay. Read it first, the come back here. We may as well start where I started, with the Floyd Anckle song. 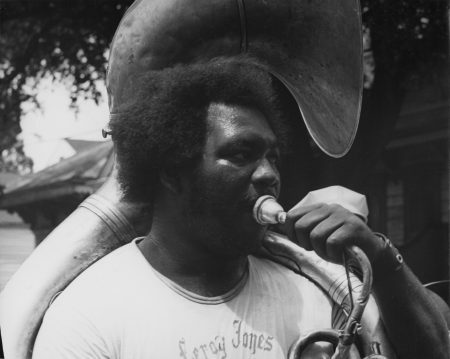 The full track begins with “Mardi Gras in New Orleans,” one of the Olympia Brass Band’s classics, but midway through, they turn things over to Tuba Fats to do his thing and you can instantly hear that riff come in to mark the transition. As Matt notes in our article, “Tuba Fats” wasn’t so much a record that circulated in the city; it was the riff that everyone knew, so much so that the fact that it was never a hit record was besides the point. As our piece opens with, “Tuba Fats” was so popular in the city that a generation later, Mannie Fresh and Gregory “D” open their “Buck Jump Time” single with the riff and tell the listeners “you know the bassline!” Notably, they say this on the local, NOLA release of the single but when it was picked up for national distribution, they kept the track intact but no longer reference the riff/bassline as an obvious nod since, presumably, outside of the Crescent City, no one would have known what they were referring to. 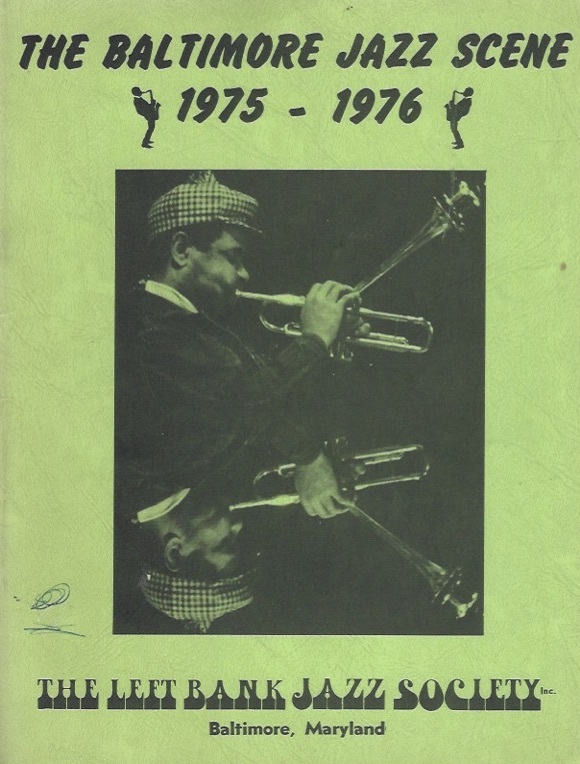 And then there’s this, which I found in the process of researching the story, a live performance of “Tuba Fats” as done by Connecticut’s Coventry High School Band, led by the late Ned Smith. At some point, I’d love to develop this story into a proper podcast episode (*fingers crossed*) but until then, please enjoy Matt and my article and all the accompanying music. This tweet reminded me that I wrote about DJ Danger Mouse’s much-lauded mash-up album, Grey Album (combining Jay-Z’s Black Album with The Beatles’ White Album) back in 2004 for the SF Bay Guardian. As their archives are still slowly being brought back into function, here’s the original copy I filed with my editor back then (enhanced with links to some of the songs but of course, The Grey Album isn’t available through any legit channels because of copyright). In late 1968, jazz pianist Ramsey Lewis released Mother Nature’s Son, 10 cover songs based on The Beatles’ White Album, itself barely a month old. Bringing together forward-thinking blues producer Marshall Chess (the Chess Records’ scion) and Cadet Records’ in-house arranger-extraordinaire Charles Stepney, Lewis and Co. mined the hodge-podge of The White Album and created a surprisingly affective mix of delicately textured ballads (“Mother Nature’s Son”) and funk-tinged groovers (“Cry, Baby, Cry”). At its best, Mother Nature’s Son wonderfully re-imagines The White Album in ways that both pay homage to the original source but allow Lewis, Chess and Stepney their own room to maneuver. For example, the album’s finest moment comes on “Julia,” as Stepney re-arranges Lennon’s plain, quiet ballad into a exquisite wave of sweeping sentiment punctuated by Lewis’ elegant tinklings. A familiarity with the Beatles’ version certainly doesn’t detract from Lewis’ cover but it’s not a prerequisite either. The mark of a good cover/remake is that it nods back to its progenitor but still stands on its own. In this respect, Mother Nature’s Son shares an unlikely resonance with a mix-CD 36 years its junior: DJ Danger Mouse’s Grey Album. Danger Mouse works with a simple, brilliant premise: he remixes Jay-Z’s recent Black Album by using samples solely from The White Album. It’s a gimmick to be sure, but high concept gimmick as DM brings together Brooklyn’s finest with Liverpool’s Fab 4 like you’ve never heard before. Some quick background: When Jay-Z released The Black Album, Roc-A-Fella/Def Jam made sure that an entire acapella version was also widely available. 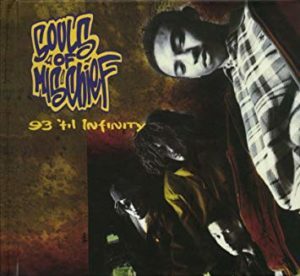 Nas and Columbia Records were the first to put this idea into play and by last fall, four different mix-CDs appeared, including 9th Wonder’s God’s Stepson and Soul Supreme’s Soulmatic, remixing Nas’ God’s Son and Stillmatic respectively. With The Black Album, at least five mix-CDs have already appeared – note that Jay-Z’s LP is barely two months old – including DM’s Grey Album, Kev Brown’s Brown Album, Kardinal Offishall and Solitair’s Black Jays Album and Prince’s Purple Album (that last one was a joke, but you never know). 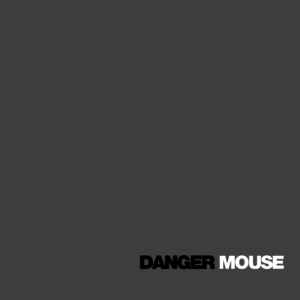 Danger Mouse’s Grey Album sets itself apart far from the pack. This is no trucker-hat hipster mash-up that lazily jams a Jay-Z acapella over “Revolution 9.” The only time DM uses a truly obvious sample is lifting the familiar melody of “While My Guitar Gently Weeps” for his remix of “What More Can I Say?” but most of The Grey Album disassembles The White Album into small sonic shreds and builds from there. For example, for “Dirt Off My Shoulders,” Danger Mouse cuts up Lennon’s croons from “Julia” and stutters it into a beat that would make Timbaland proud. DM’s remix of “99 Problems” tears into “Helter Skelter” and lifts portions from at least three different points to craft a track that rivals Rick Rubin’s raucous original. One of the best remixes is “Justify My Thug,” a song that originally suffered from DJ Quik’s dull, plodding production. DM takes a guitar lick from “Rocky Raccoon” and then overlays a chopped-up stab from “Revolution 1” creating an incredible sounding remake that improves the appreciation for Jay-Z lyrics since you’re now more invested in actually listening to the song.